Thank you to Stampin’ Up! for this Tin of Cards Project Kit, a lovely addition to any card makers collection or a great way to start card making if you are a beginner! I’ll admit the mint colored tin made this project kit a must have for me. 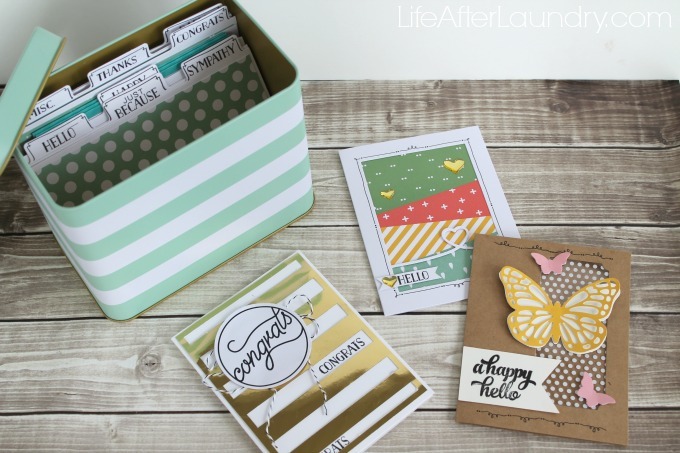 I loved the idea of having an adorable, more organized, way to store my cards. Yes, the cuteness won me over, but as I was making the cards in this set I realized how awesome this kit would be for a beginner! Why? I believe a kit like this keeps the pressure and cost down. 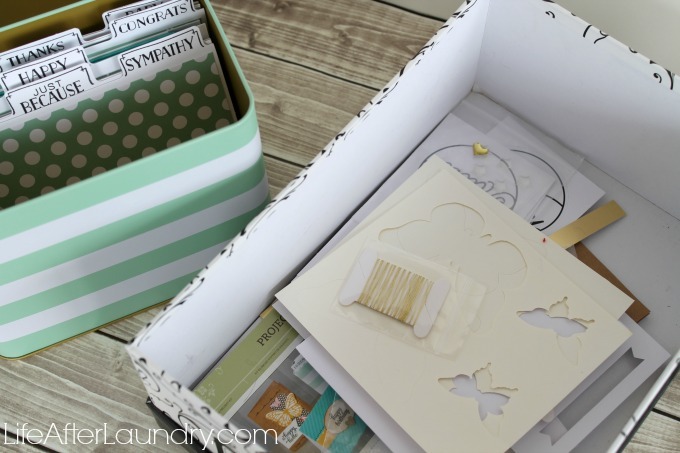 Not only does it give you the supplies to make an assortment of beautiful cards for different occasions, it gives you a cute way to store them. Why not start out organized! The kit gives you several ideas for creating your cards, and it’s easy to put your own creative spin on the cards. To me it gives you a place to start when you are designing cards, where you take the supplies from there is up to you! 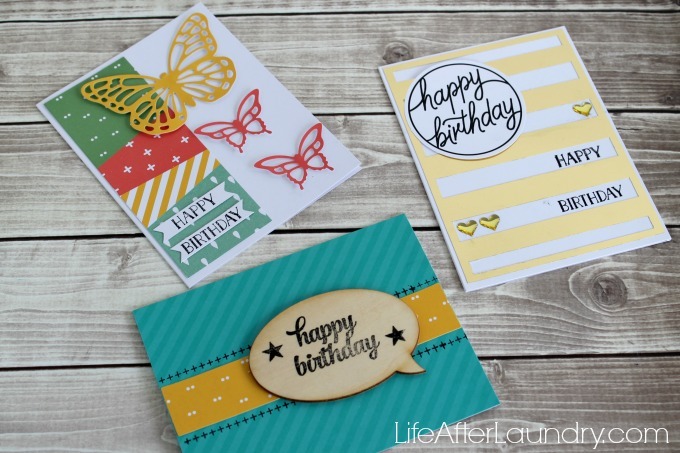 To create these cards I used the supplies in the Tin of Cards Project Kit, matching stamp set, an acrylic block, a black stamp pad and some adhesive. Below you can see the cards that I made based off their examples. After making the first set I had a little more confidence, and I came up with my own, slightly different, version. An added bonus to this kit is not only do I have cards and storage, but I have some bits and pieces left over for additional cards (AKA Stash Builder!) The Tin of Cards stamp set is also a great one to have in your stash, because it includes greetings for almost every occasion. Learning any craft it can be intimidating. Knowing where to start is sometimes the hardest part. With so many options and shiny supplies begging for your attention, I think the Tin of Cards Project Kit is a great way to start card making. Another great way to further your card making skills and build up your supplies is with the Paper Pumpkin kits, which is also a favorite of mine. I hope you feel inspired to pick up the craft of card making, and to help get you started… We have a GIVEAWAY! Stampin’ Up! is so awesomely providing the Tin of Cards Project Kit, Tin of Cards Stamp Set, Matching Ink and Adhesive to one of my readers! Cute little box! Love the cards! sigh…..I must admit to being a card, stationary, office supply addict. I once was organized but now not so much. The little tin is adorable. I am excited to do this and get all my stash in order. I know I will send more cards when I can put my finger on the right one without searching. Thanks for the inspiration and lovely images to ooh and aah over. Super cute tin, and really cute cards. 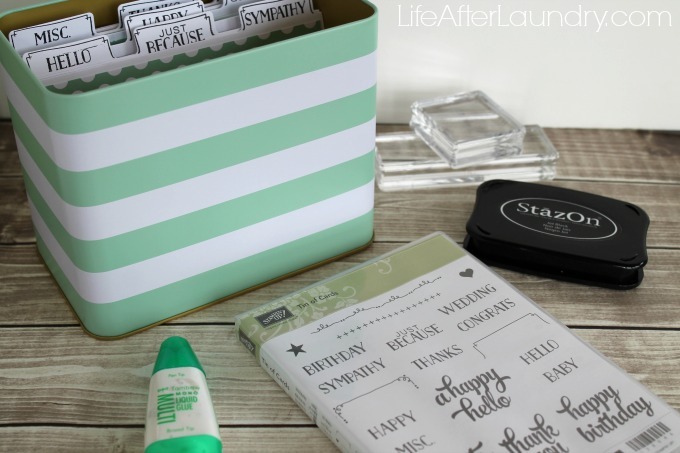 I love Stampin’ Up…this would be an awesome win!